Last week I shot an assignment for OUR STATE MAGAZINE about volunteers in the park working on Cape Lookout National Seashore. 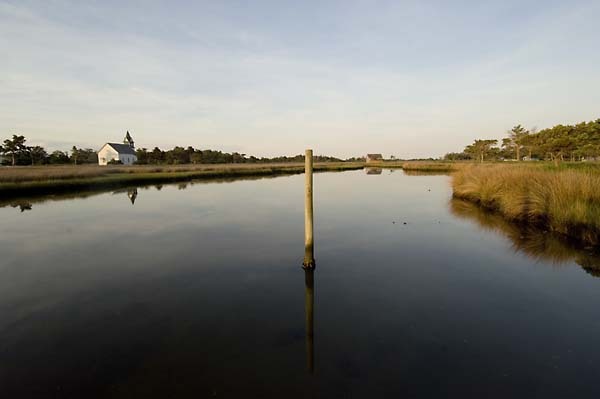 This required arranging boat transportation and accommodations on an isolated and uninhabited barrier island on the Outer Banks of North Carolina. I followed 2 volunteers throughout the day, and also at the same time, was able to capture numerous landscape shots. Since I was also spending the night, I was able to witness a beautiful sunset, then a sunrise the following morning. I also have to add that the mosquito population is like none other you’ve ever seen before. At one point, after shooting early in the morning, I looked down at my tripod-mounted camera to see a hundred mosquitos on it. Lucky for me I was wearing a net over my head, and covered with long clothing, gloves and a generous amount of repellent. Nonetheless, over the last 30 years, Portsmouth Island has always been a wonderful and emotional experience for me. There is no place on earth quite like it. This entry was posted in history, Land, Outer Banks on May 31, 2008 by j0jgvm89bj. Last month some friends and I found a baby owl that had fallen out of it’s nest. With the help of a local wildlife rehabilitator and the local fire department, we put the young nestling back into it’s nest. The following day the adults were back tending to their chick. 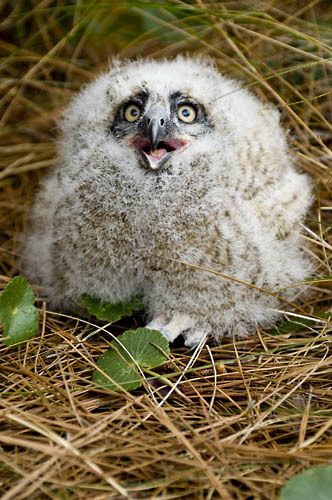 This entry was posted in Birds, Outer Banks and tagged owl on May 5, 2008 by j0jgvm89bj. This is my good friend and neighbor I.D. Midgett. He has been on the water his entire life. When I moved to Hatteras Island in 1973, many people there made their living commercial fishing. It’s a very physical and difficult occupation and is highly regulated. Commercial fishermen are close to nature and the weather. Their lives revolve around it. Nowadays tourism and real estate development have taken over. Very few locals are fishing for their livelihoods any more. Like many of our traditional cultures, this one is being lost. 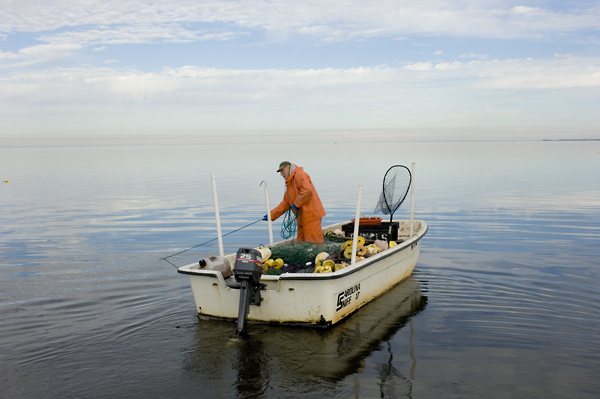 This entry was posted in commercial fishing, boat, pamilco sound, gillnetting, Outer Banks, Pamlico Sound, People, Sea and tagged boat, commercial fishing, boat, pamilco sound, gillnetting, gillnetting, pamilco sound on May 5, 2008 by j0jgvm89bj. In February of 2007, my wife and I visited the southwest of Costa Rica. We stayed in a cabin perched on the hillside of a rain forest. The beach was only a few hundred yards away. I photographed this great blue heron one morning as I was checking the waves. 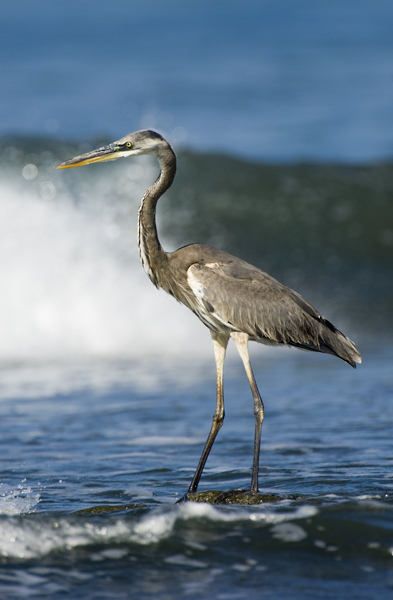 This entry was posted in Birds and tagged Birds, heron, wading on May 5, 2008 by j0jgvm89bj.